How do you assess and attempt to solve a politically fraught situation from afar? Students from the 2012 Masters of Human Rights and Democratisation course are undertaking a human rights simulation exercise focusing on West Papua, as part of Dr Susan Banki’s ‘Dynamics of Human Rights Violations’ class. The central event in the simulation exercise is the alleged murder of activist Mako Tabuni earlier this year and the alleged involvement of Australian funded anti-terrorist unit Detachment 88. In the first stage of our human rights simulation we’ve explored the relationships between the major parties engaged in the tragedy that has engulfed West Papua, and developed tactics that could be employed to intervene and prevent further human rights abuses. Key aspects of our work include team building and collaboration between the student groups representing the different actors, applying relevant learning from this unit of study. Our diverse cohort of international students brings to the simulation exercise a diverse array of backgrounds, experiences and unique perspectives from their home states. Some of these states are in the infancy of building a new democracy after decades or even centuries of authoritarian rule. For these students the oppression experienced by the indigenous peoples of West Papua can be all too familiar. It is important to recognise that as students undertaking a simulation we in no way trivialise the seriousness of the events in West Papua. However the exercise is a valuable training tool to equip students that one day may be working in the field with INGO’s or governments committed to ending the atrocities of torture, abductions, ‘disappearances’ and murder. Read more about this unit of study. The main reason I ended up at Sydney University is because of the amazing student life. 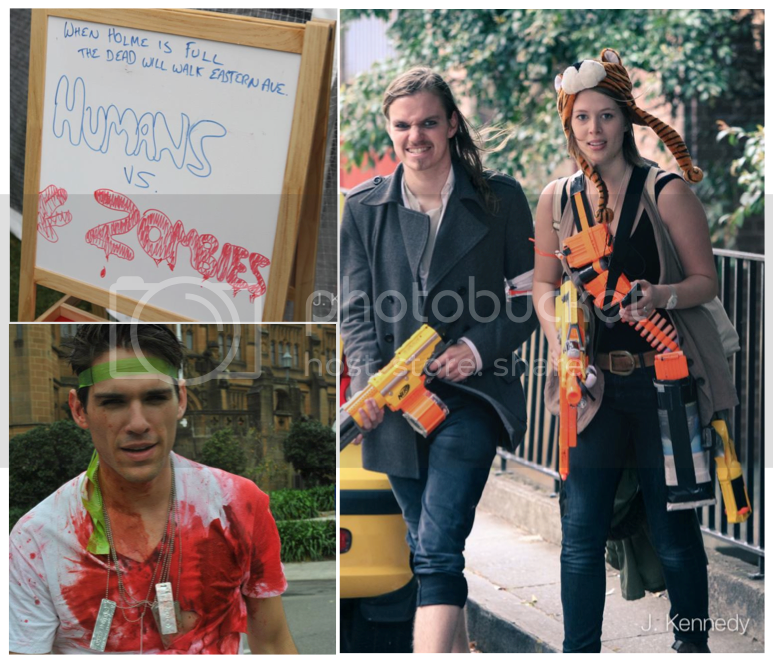 Sydney has many crazy events to attend, and my favourite this year has to be the Humans versus Zombies Nerf war that was played on 6 October, as part of the Verge festival.